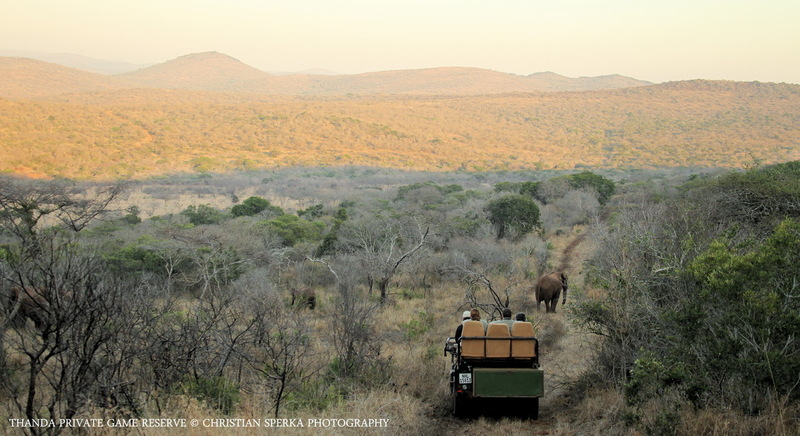 One of Thanda’s largest Elephant bulls was standing still for a few seconds – for his close-up pictures 🙂 – before he moved on down the hill. 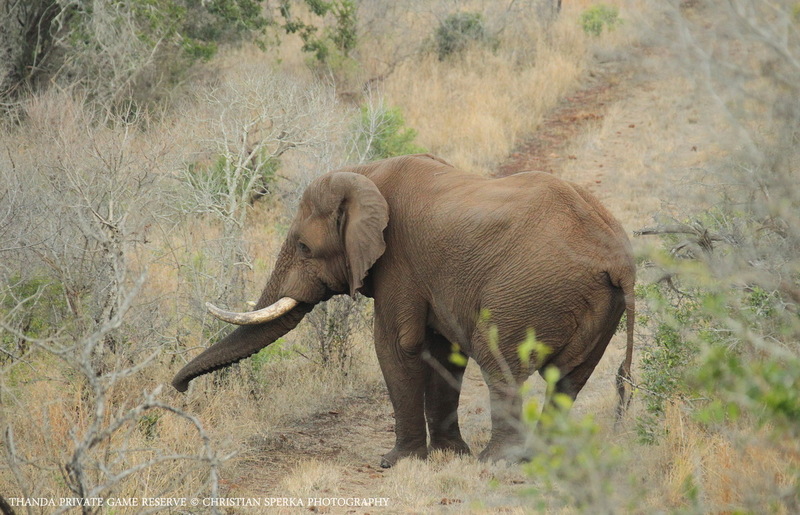 This gentle giant was trailing the breeding herd which had crossed the road in front of the vehicle on the way to a nearby waterhole. 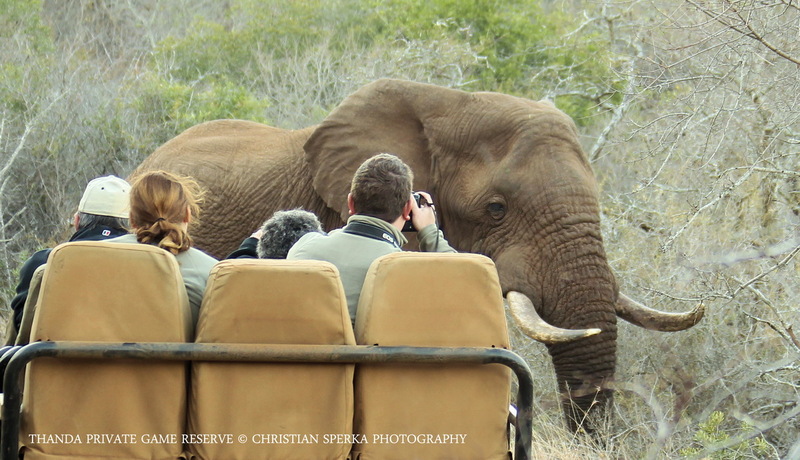 What an experience for our guests! Stopping for a snack on the way to the waterhole!